“A new mobile generation has appeared approximately every 10 years since the first 1G system, Nordic Mobile Telephone, was introduced in 1982”. Assuming the trend continues, 6G will follow several years after 5G is adopted. The 3GPP releases are driven by user and operator demand, with smaller releases are launched every couple of years to enhance features and performance. So one might reasonably expect a “6G” release to arrive at some point in the future. What will 6G be like? There is some debate about what 6G would entail, and whether indeed it’s relevant to consider the term, as user requirements will change greatly in the next 10–20 years. A high-level answer is that 6G will explore and include relevant technologies that will be left out from 5G, due to being “too late”, experimental in status or simply outside the defined scope for 5G. Future applications and technologies will be integrated when they achieve maturity. For 6G, one proposal is to integrate terrestrial wireless with satellite systems, for ubiquitous always-on broadband global network coverage. Other trends predicted for 6G include Ultra-dense cell networks, Reconfigurable Hardware, Millimetre Waves for user access, enhanced Optical-Wireless interface, Networked VLC, Intelligent Networking and technologies to enable Full Immersive Experience for users. One thing we can be confident on is that users will demand and expect greater global coverage, higher capacities and always-on connectivity for new and future internet services and applications, and that 6G will be expected to deliver all of these. One factor in the drive towards 6G is the growing trend of Software Defined Radio (SDR) and Software Defined Networking (SDN): These mean that future 6G technologies will be easier to upgrade to, with cloud-based resources and software loads enabling upgrade of existing 4G and future 5G equipment to enable 6G applications. This reduces the expensive and disruptive “fork lift” upgrades of previous mobile standards which generally entail replacement of physical infrastructure. Inter-vendor operability is also an increasing trend, with democratisation fueled through open-source development of technologies. 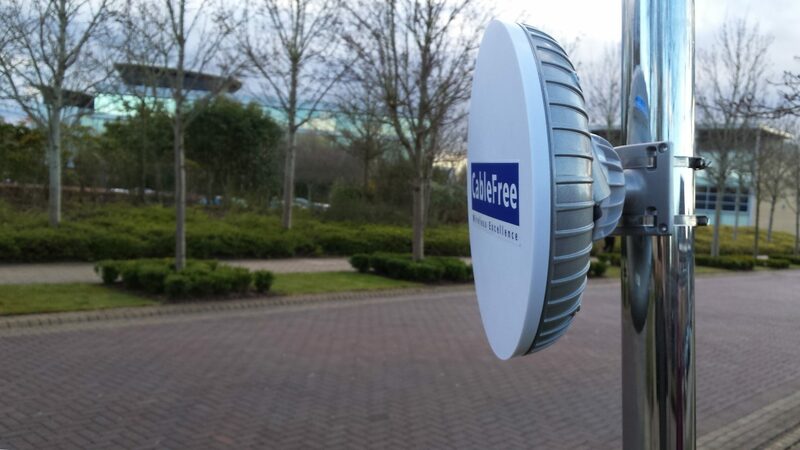 A CableFree 4G/LTE-advanced Base station features Software Defined Radio (SDR) and Software Defined Networking (SDN). Running current LTE Release 13, these Base Stations enable Software upgrades to future 5G standards and beyond.